Winter arrived with a vengeance of about 9” of snow around ‘these here parts’. It all looks so pristine and beautiful to start with, but when you have horses to exercise safely and half a mile of the drive to keep ice-free so that our team can even reach us, it makes for a hell of a lot of extra work. Wheel-barrows are not good 4 x 4s and hate snow, so the yards have to be cleared with salted pathways created to all important areas. Every task just takes that much longer. Plenty of our team live a few miles away and are at the mercy of the whim of our local councils and their wish to either treat our roads, OR NOT! It took Martin and I about three hours to salt our drive but all our smaller access roads remained untouched throughout. And now they want another 1% on our Council Tax! 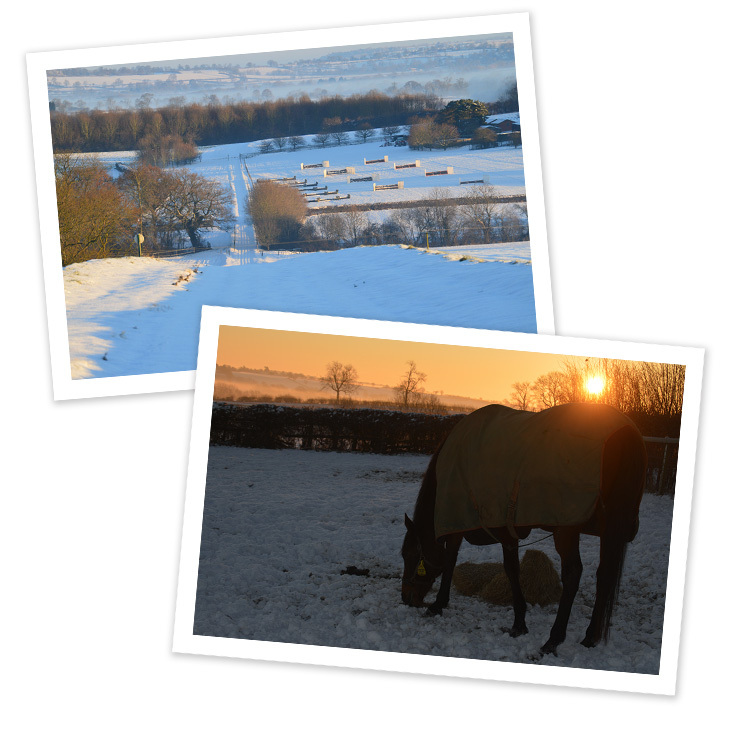 As we had no intended runners for the next week and the modern and clever people at all the weather sites that we dull trainers pore over (no more Michael Fish) predicted that a thaw would appear soon, we decided to give the horses a mini-break of just trotting indoors for three days. They then had easy cantering days before resuming their routines this week and seem fresh and well ahead of this busy Christmas time. 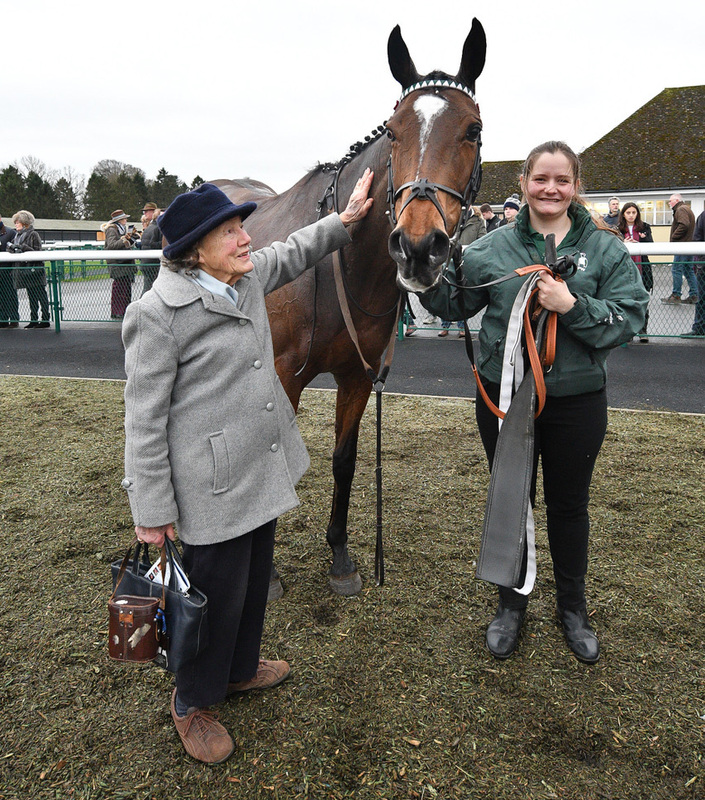 Our strategy was proved correct by a wonderful day at Towcester on Thursday. VERY LIVE stayed on well to finish second on his first run of the season to give us plenty of encouragement for the Winter, as he seems to cope well with soft ground. I’ll admit that ALL CHANGE was a little more clueless than I would have hoped in the bumper, but under a fine persevering ride from Kielan Woods, she will have learned so much from today. 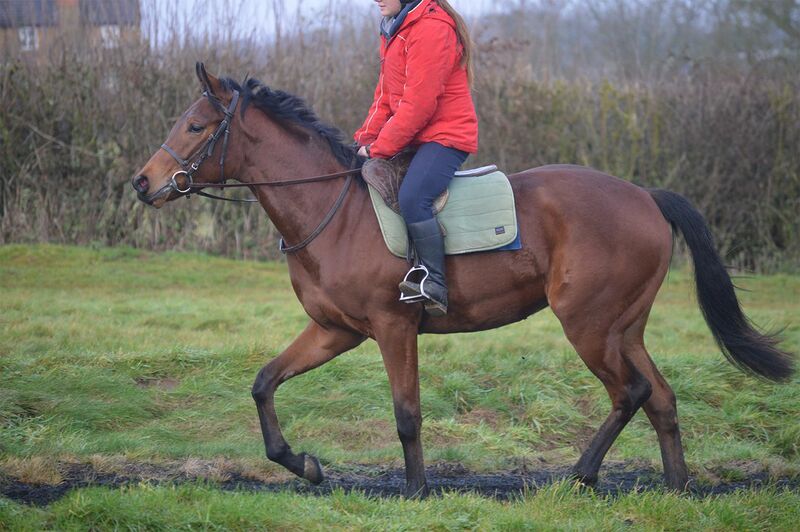 She is a real trier and after a little time to strengthen up, will go very close in her next bumper on better ground. Now to the star of the day. how about MISS TONGABEZI! She stands only 15.3h. 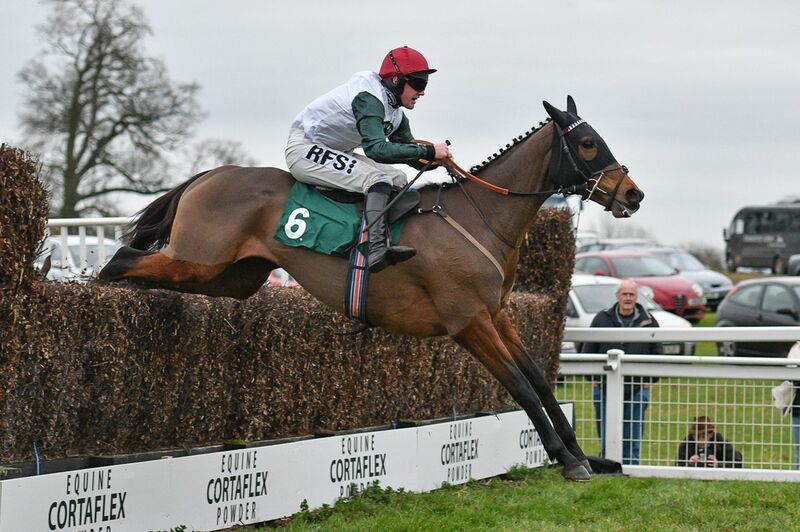 and cannot see over the downhill fences at Towcester, but she jumped better than the proverbial bunny rabbit and scampered up the hill, refusing to let anybody pass her! In the morning I lost heart and any confidence with her priced up as the ‘rag’ at 33/1, but did tell a few inquiring souls that she had to be an 8-10/1 shot as she’d showed good promise at Warwick. What a wonderful sight to see her gallop to the line, just as her great grand-dam Dream Isle did six times at Towcester. On one of those occasions, the winning prize was a drinks trolley that my Mum still has and which has always been, without any doubt, the most used piece of furniture in her household! COSMIC DIAMOND is declared for Huntingdon on Boxing Day rather than a competitive race at Ascot on softer ground today. She remains in super form but will need to be having been raised 10lbs for her easy Towcester win. She has won and run well at Huntingdon and I hope she does not miss her ally Gavin Sheehan too much, as it is a conditional jockey’s race. We will find the top man for this attractive task. 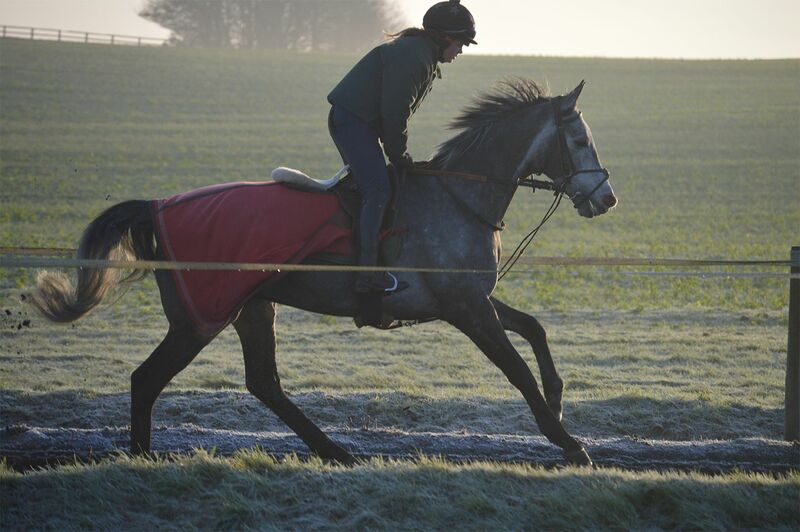 We hope GWAFA will make his eagerly awaited comeback at Kempton on 27th Dec. in the 2m handicap hurdle. 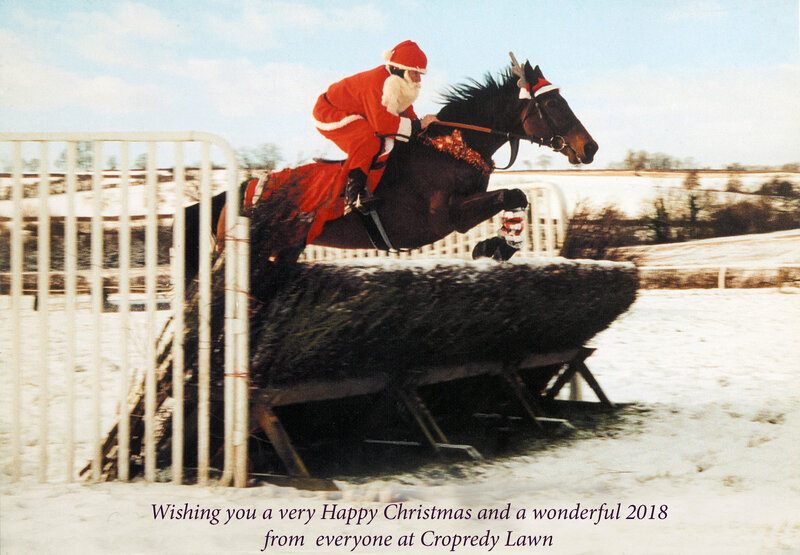 We had feared that he’d have to face a fiercer contest but the handicapper has kindly tacked pity on us and shown seasonal good-cheer by dropping him from 149 to 140, which lets him into this race off top weight. He has done a lot of work and his work-jockeys Danny Pebody and Sophie Webber both think he is fit. He did a lovely solo gallop at Towcester on Friday and schooled well this week. We think he looks right back to his best. BREATH OF BLIGHTY seems fiercer since his good run at Kempton and is being aimed at Leicester on 28th December and their Silver Fox Chase which is a 0-125 worth 20k. He’ll also get an alternative entry the next day at Doncaster. LORD MARMADUKE seems to be thriving on his racing and will be entered for the same meeting, but I would not want to take on any highly-rated opposition as there are four possible races between 7th – 11th January and one of these will look more attractive. ROYAL DEBUTANTE seems back to herself and her weird fibrinogen level is back to optimum. There is the perfect mares handicap hurdle (2m. 0-120) for her at Doncaster on 29th December. 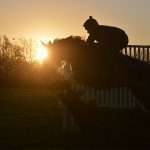 DASSETT GOLD’s lack-lustre performance at Newbury remains a mystery where Gavin Sheehan reported that the horse seemed fazed by the pace of the race. Nothing untoward has shown and he has schooled fantastically well this week so we will expect an improved performance when running over further at Leicester or Warwick. Last chance for you last-minute Christmas shoppers looking for a bargain and great fun. We had thought that we had a buyer for this lovely PLANTEUR yearling filly but circumstances have changed and she needs an owner or Owners! She is a very attractive good-moving filly with an excellent demeanour and attitude. She came from the Madrid sale in September and has been ‘broken-in’ here. She has been trotting up the gallop and starts cantering straight after Christmas. She was one of only 55 yearlings that are Qualified for their Sales race over 7+f. in Madrid worth 50,000 euros in September 2018. Her sire was a Group 1 winner, who actually won the Arc de Triomphe but was disqualified and she has a pedigree that suggests she will stay 1½ miles as a three-year-old. I think we should aim to find six partners at £5,000 + VAT which will include all costs until 1st February 2018. Of course, if you hate having partners the whole of her is available for £28,000 + VAT… So hurry while stock lasts! Wishing all owners, readers, friends, supporters and those about to contact us for the first time (! ), a fantastically Happy Christmas and a Wonderful New Year.